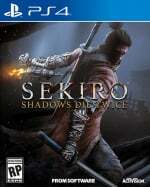 How do you kill Lady Butterfly in Sekiro: Shadows Die Twice? 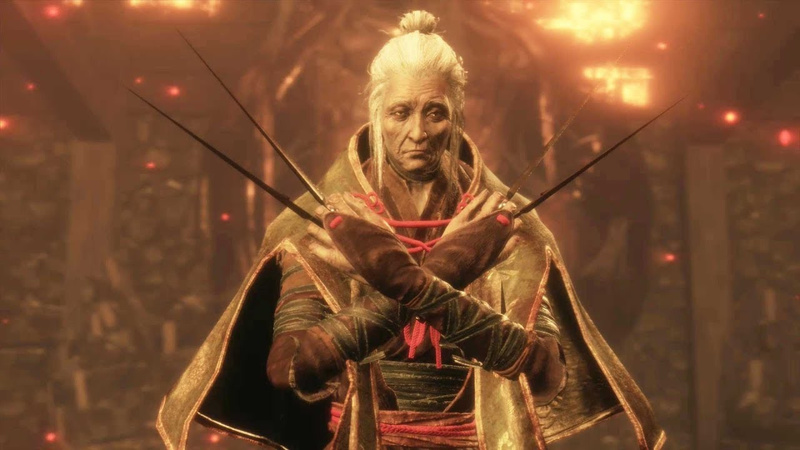 She's one of the first major boss fights you're likely to have in Sekiro, and she's a devilishly fast and tricky opponent. You'll encounter her at the very end of the Hirata Estate area, behind a locked door. Below, we'll give you some pointers and advice for tackling Lady Butterfly. Lady Butterfly is a master of illusions, but she's also a lightning fast fighter and uses kunai to attack from range and up close. She'll launch herself up and onto invisible wires above the arena, and come at you with fast flurries of attacks. When the fight begins, the best thing to do is keep up the offensive as much as you can. Strikes from your katana will slowly chip away at her posture, but you'll absolutely need to be parrying her attacks when they come. She has a wide range of moves, including throwing kunai at you. These can be parried or dodged pretty easily, but keep an eye on Lady Butterfly, as she may close the distance in the meantime. You're best to equip Loaded Shuriken on your Shinobi Prosthetic, as you can use these to knock her down to the ground if she jumps up to one of her wires. Beware her unblockable attack from this position; she'll leap on top of you and deal a huge amount of damage, likely killing you. You can try throwing a shuriken at her when she jumps to interrupt the attack, or simply dodge out of the way. Whatever you do, make sure you get in some attacks while she's recovering. She also has an unblockable sweep attack you'll need to jump above, and again, this can be countered for some good damage. Keep up the offensive and stay light on your feet, and her posture will soon fill up. However, the fight's not over after you deliver a Shinobi Death Blow. She'll jump back into the arena for the second phase of the fight, and on top of all her old moves, she'll summon a batch of illusory soldiers that'll chase after you. Before the fight starts, you should've spoken to a man who provides you with a Snap Seed. This item can be used to deal with the apparitions; while surrounded by them, use the Snap Seed and it will eliminate all those around you. It's possible to find more Snap Seeds in the world, but they're pretty rare. If you run out of Snap Seeds (and it's likely you will if you die a few times), the fight isn't impossible. When Lady Butterfly summons the illusions, head to the far end of the room and hide behind a pillar. She'll call them off and they'll turn into orbs of light that will chase you down and deal a lot of damage. However, because you're behind a pillar, they won't hit you. Do this when necessary, and otherwise, do what you've been doing -- keep the pressure on her, parry her kicks and kunai, dodge her unblockable attacks. Lady Butterfly isn't too difficult, you just need to get used to her movements. Once she's down for good, you'll see 'Shinobi Execution' onscreen, and you'll be given the Lady Butterfly Memory, a Sakura Droplet, and 1,300 XP. Thanks for the tips. I'm stuck on her right now. Ok, but let’s not spoil bosses 2 days after release, shall we? I beat her this morning. One of the best fights I've ever had. Even better than Gyoubu. The main bosses in this game are absolutely incredible. Bit spoilerific, I am glad I had beat her before seeing this article. I found her quite tricky but this was the fight where the penny really dropped with regards to combining countering and step dodging while being really aggressive at the right time. I simply cannot believe how incredible this game is, From Software have done it again, another bona fide classic in my opinion. Just beat her. Took ages. Exhausting.